There is no “health” in American Automobile Insurance Company’s name, and unfortunately the company does not offer health insurance. American Automobile Insurance Company is a subsidiary of Fireman’s Fund Insurance, which is wholly owned by German-based Allianz AG Holding. Allianz is one of the largest property/casualty and life insurance providers in the world. Wondering what health insurance rates are in your area? Enter your zip code in the box to find out, and wait no longer! Fireman’s Fund Insurance has a long and colorful history, dating back to its founding in 1863. The insurance company was started to insure San Francisco against the fires that often swept through its wooden buildings, with 10% of the company’s profits going into a fireman’s retirement fund. The company went on to insure the whaling industry, as well as the fledgling movie industry, the Apollo II command module on tour, and the ABC Television network’s participation in the 1984 Olympics. Fireman’s Fund Insurance offers many types of insurance, but not health insurance. For individuals and families, the company has auto, personal property, homeowners, special event, excess liability and marine insurance. For commercial insurance, it sells automobile, property, small business, worker’s compensation, and several different liability insurances, as well as umbrella coverage plans. Fireman’s Fund Insurance has thousands of agents around the country, waiting to help you with your insurance needs. You can find the ones closest to you by using their online Find an Agent tool. This handy resources will give you information on the agents closest to you geographically, along with the agency name, address, distance from you, phone number, map, and driving directions. All of Fireman’s Fund Insurance agents are independent, chosen for their skills and experience in their local community, and in the insurance needs of their specific industry or business. The company gives a full accounting of agent compensation here, disclosing how agents are paid for every policy they sell and any incentive compensation they might receive. Alternatively, and much easier to do, you can submit a claim online. The Fireman’s Fund’s online claim reporting page. You can choose to report any of the following claims online: automobile, general liability, professional liability, property, marine, and worker’s compensation. While you won’t find much of a career at American Automobile Health Insurance Company–a company that doesn’t exist–you will find many opportunities at Allianz AG. The company’s global network of job openings can be examined here. Fireman’s Fund (and Allianz AG) looks like a great company with generous benefits. They offer medical, dental, and vision insurance, along with pre-tax flexible spending accounts, a 401k, paid time-off and holidays, and a host of other benefits including tuition reimbursement and pet insurance. 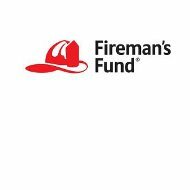 Fireman’s Fund also offers professional development and training classes, and emphasizes charity and community giving. Time may be tight, but health insurance shouldn’t be one of the things you cut from your budget. To save money but keep the insurance, enter your zip code in the box and shop for the health insurance rate that fits your life, and your wallet.